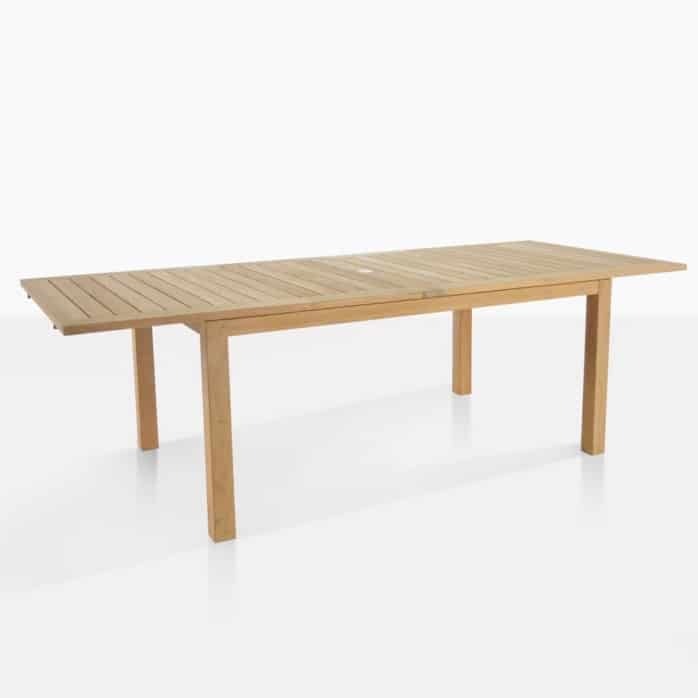 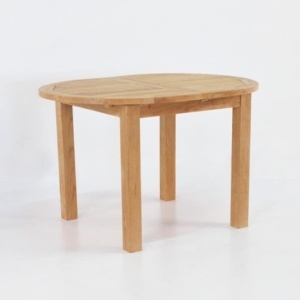 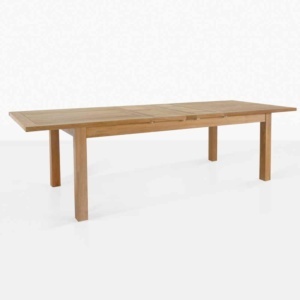 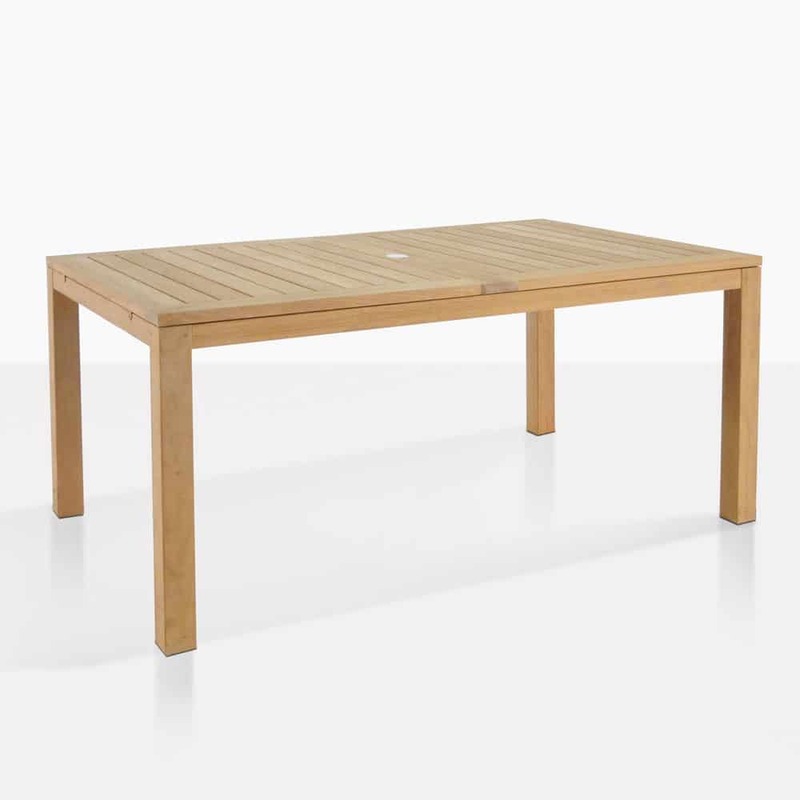 The Monaco Table is a refined piece of furniture that our customers will often purchase for indoors as well as out! 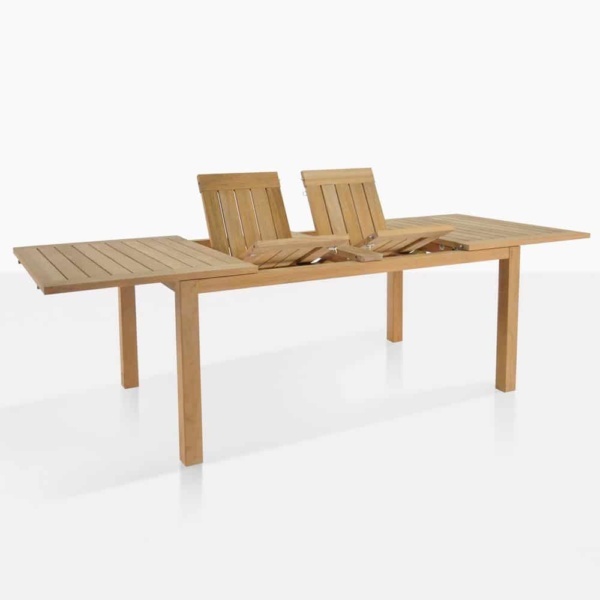 Sporting an extension that takes the table from 1.6m size to 2.4m in length, seating up to 10 people. Its classic, simplistic architecture features tightly placed slats of Grade A Teak with #316 Stainless Steel fittings and an Umbrella Hole Cap. It looks marvelous with traditional wicker or teak chairs, like the Wave Chairs or Nautical Dining Chair, or modernized with the addition of the Sophia Chairs and Raw Concrete Square Stools.